We work with the best and most innovative digital marketing technology partners to deliver the tools you need to get things done. Aircall delivers an advanced business phone number and call center—all in one intuitive software solution. Operated conveniently in the cloud, Aircall natively integrates with the CRM and help desk software you love the most. Best of all? It’s incredibly easy to set up and get started. Aircall integrates natively with HubSpot Sales Hub and Service Hub, as well as Salesforce, to offer inbound and outbound capabilities. Call logs automatically connect to lead, account, and deal data, giving your sales team everything it needs to close more deals. Allbound offers a partner relationship and channel management (PRM) solution. With Allbound, you can optimize your partner lifecycles, increase channel engagement, and drive more sales. This powerful PRM delivers a turnkey partner portal solution for a quick setup and launch. With pipeline and deal management for clients selling through channel partners, Allbound was made for data-driven marketers. Allbound integrates seamlessly with Salesforce, HubSpot, Marketo, and other platforms with the ability to segment, share, and report on partner content engagement. CallRail is a powerful and intuitive call-tracking platform built for data-driven marketers who generate inbound and outbound marketing calls. With call recordings on demand, your sales professionals will be able to understand the effectiveness of calls and deliver better customer service. CallRail integrates natively with HubSpot and Salesforce to automatically create leads from inbound phone calls. With CallRail’s granular reporting, you can show that ads, landing pages, and keywords are converting into inbound leads. Databox delivers deep insight into your business with its mobile-first analytics platform. Organize all of your business KPIs by connecting your data sources in one place. With application support across multiple devices and platforms, you can access business data whenever, wherever. Databox offers user-friendly custom dashboards that can consolidate data from almost any data source. With Databox, you get a view of your analytics in one place and in real-time. DiscoverOrg helps businesses large and small zip past the competition with access to contact and company information for targeted accounts. With its web-hosted platform, DiscoverOrg helps companies target the sales and marketing opportunities with the greatest potential so they can connect more efficiently. DiscoverOrg integrates seamlessly with HubSpot, Salesforce, and Marketo to enrich your CRM data and bolster your inbound marketing efforts. Use data to build target account lists for your ABM campaigns and segment data better according to job function, industry, location, and more. Sigstr’s email signature marketing app places targeted 1:1 ads into the signature space of every single email your workers send. With Sigstr, you can segment your workforce by department or region and align outbound email campaigns for specific teams—and you can do the same with internal emails, too. Sigstr integrates seamlessly with HubSpot, Marketo, and Pardot to support your inbound marketing and ABM efforts. Turn email signatures into an inbound marketing channel to support content distribution and event promotion. 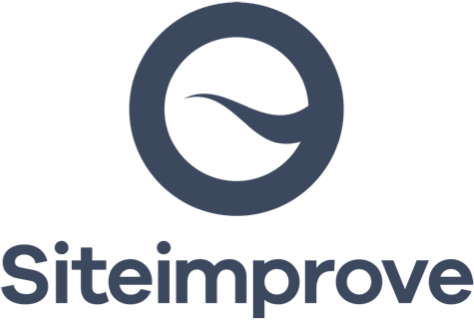 Siteimprove offers digital presence optimization software that can help companies with performance and regulatory concerns overcome their website challenges. Whether you need to improve content quality, achieve accessibility or GDPR compliance, improve website performance, or increase search engine traffic, Siteimprove is your solution. With Siteimprove, your site visitors will experience your company in a fully accessible and compliant way. Siteimprove helps you achieve GDPR and ADA compliance. Terminus delivers an end-to-end, account-based marketing (ABM) platform that allows B2B marketers and sales professionals to amplify and target their reach. With Terminus, teams can proactively identify and segment target accounts and engage the full buying committee through account-based advertising. Terminus integrates seamlessly with HubSpot, Marketo, and Pardot to help B2B clients run account-based marketing (ABM) campaigns at scale. With full-funnel ABM reporting on Terminus, you can activate sales at the right time based on web engagement data. Vidyard transforms videos into lead generation powerhouses to deliver more qualified sales leads. Engage, qualify, and convert more prospects into customers with videos that are personalized and optimized for SEO. Learn more about video performance with real-time video data and viewer engagement data. Vidyard integrates natively with HubSpot, Marketo, and Pardot to support the inbound marketing efforts of your sales and marketing teams. Accelerate the Buyer’s Journey by uncovering your most engaged leads and converting them through 1:1 interactive sales videos. Yext is a digital knowledge management (DKM) platform that gives companies the power to manage their brand experiences. Boost engagement, drive traffic, and increase sales by managing your local listings, ensuring your details are easy for customers to find, managing your reputation, delving into analytics, and more. Connect local prospects to your brand with accurate listings across directories. Create a consistent and optimal brand presence across digital platforms.